Research has shown that there is a category of fats that are necessary for the body and can even provide numerous health benefits. These essential fatty acids (EFAs) cannot be produced naturally within the body, so the only way to enjoy their benefits is to incorporate them in your daily diet. 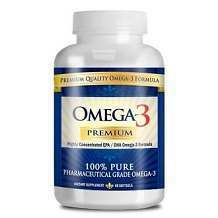 One of these essential fatty acids is known as Omega-3, and it is mainly found in fish oils and algae. The fish oil has to be from deep sea fish, not the type raised in farms. There are many dietary supplements in the market that contain Omega-3. However, the difference comes in the ingredients used and the amount of active ingredients used to make the product. It is therefore important to find out all there is to know about any new Omega-3 supplement that hits the market. EPA (Eicosapentaenoic Acid) – This essential fatty acid has not shown any capability in treating the symptoms associated with type-2 diabetes. DHA (Docosahexaenoic Acid) – This essential fatty acid has not exhibited any ability to reduce the levels of blood sugar in patients suffering from type-2 diabetes. Omega-3 Nutritional Profile Fish Oil Concentrate – Omega-3 essential fatty acids have been clinically shown to provide health benefits and aid in proper functioning of some organs. Reflex Omega-3 has a recommended dosage of 1 capsule to be taken 3 times per day. Each dose should be taken together with food or a glass of water. 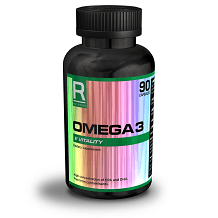 Reflex Omega-3 is a reasonably priced dietary supplement. Each bottle is sold for $19.18, and contains a total of 90 capsules. The guarantee offered by the product source, Reflex Nutrition, is not very clear. The product company states that a customer can return Reflex Omega-3 directly to the company and get their money back, minus shipping charges. However, there is no indication as to how long the guarantee period lasts. This information has not been availed by the product source. Reflex Omega-3 contains Omega-3 fatty acids, which are definitely good for the health. However, the ingredients used, i.e. EPA and DHA, have not been found to treat some diseases like diabetes type-2. Reflex Nutrition has also neglected to give information regarding the quantity of individual active ingredients used in making the product. This makes it difficult to determine the potency of the product in terms of the health benefits it gives. The price of a bottle of Reflex Omega-3 is reasonable enough, though the problem comes in the way the guarantee is offered. The product source says the product can be returned for a full refund, but does not bother to give the guarantee period.